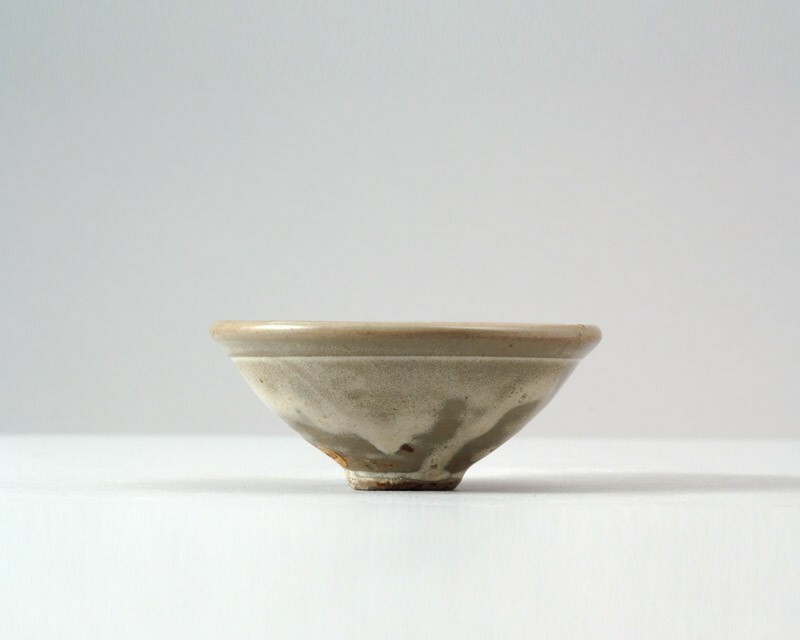 The somewhat rounded conical bowl has a recessed circular centre, an emphasized, thickened rim border outside, and a low, narrow foot with a domed base. The thin grey-green glaze has acquired an opaque white, foamy appearance where it has pooled and ran down in thicker streaks. The inside shows a brown discoloration. The footring is largely unglazed, showing a brownish-buff biscuit, with grit adhering to splashes of glaze.